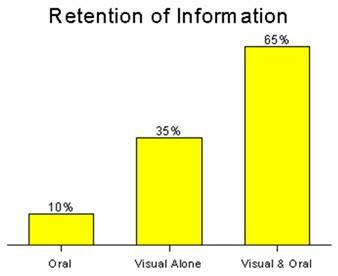 According to the Wharton Research Centre using visual sides has a dramatic effect on message retention. The effect of using visuals is truly staggering! The old adage that “a picture is worth a thousand words” is as true today as it has always been. Give your visual aids colour. Colour helps understanding and helps people remember information. Use pictures and diagrams instead of words. This biggest mistake that speakers make is trying to put too much detail into their visual aids. Keep them simple, very simple. If you do have to write words, then use single words or short phrases rather than sentences. 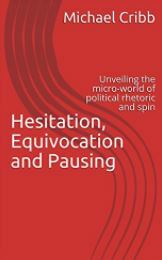 Remember, it is impossible for the audience to listen to you saying something while reading a sentence on your visual aid at the same time – it is just not possible. The human brain can only process one linguistic message at a time. When using a visual, explain it very carefully. “Walk the audience round” the visual if it is complicated by explaining the various bits before delivering the key point. Slow down and look at the audience’s reaction. If you don’t think they understand the visual aid, then explain it again or ask them if they understand (and wait for their answer). Make visual aids dynamic if possible. Cover important information in the visual aid with a blank piece of paper. Give the audience a quiz and then reveal the information by peeling off the paper. or build up your visual aid by adding bits to it as you go along. Also, remember, 3-D visual aids are much more powerful than 2-D, so if you can bring an object to the presentation, then this will be very effective. There are several types of visual aids that you can use in a presentation. PowerPoint slides are the obvious ones, but there are other aids you can use to enhance your presentation. Each type of visual aids has advantages and disadvantages. 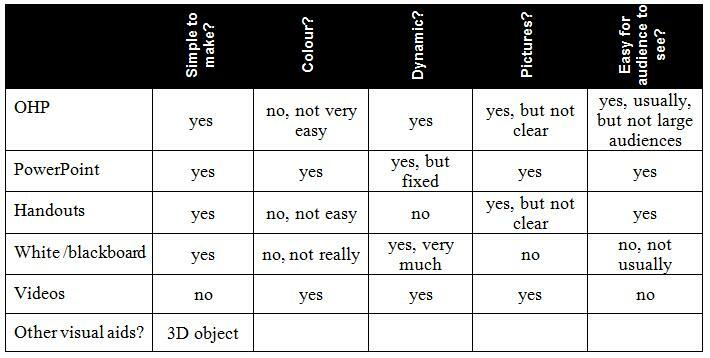 Look at the table below and write ‘yes’, ‘no’ or ‘maybe’ in each box depending on whether you think the particular visual aid has that feature. Click here to reveal the answers. PowerPoint slides are probably the type of visual aids that you will use most frequently. They are very popular these days due to the popularity of Microsoft’s Office software and the availability of projectors in most classrooms. 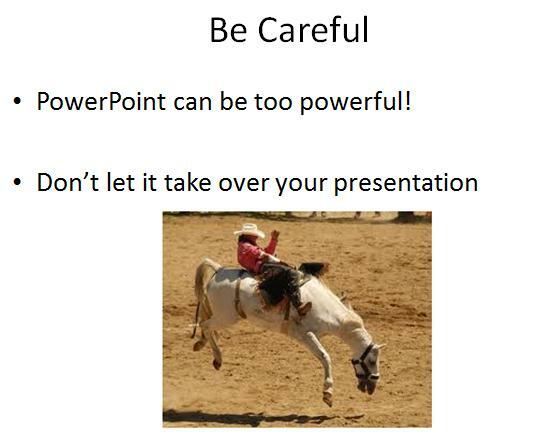 However, be careful with PowerPoint slides: in many cases they can become too ‘powerful’ and take over your presentation. Are PowerPoint slides simple to make? Yes, most people can develop effective visual aids very easily with just a few clicks. Do they allow for colour? Yes, the software and projector usually allows for very vibrant colour renditioning. Can they be made dynamic? Yes, but be careful. This is where many novice presenters become unstuck. PowerPoint slides can be made dynamic using the Animations features. This allows the presenter to reveal little bits of the slide point by point during the presentation, which gives a dynamic feel to the visuals. …however, the animation has to be fixed the night before and cannot be changed during the presentation very easily. This means that there is less flexibility for the presenter to change the order of presentation during the actual presentation. Look at the visual aid below which is designed to show some tips for learning a language. The visual aid is quite plain and boring, and uses long sentences. How would you redesign this visual aid to make it more effective? If a slide (visual aid) in a presentation is complicated then the audience will need time to adjust to the slide and to understand the layout. The presenter (speaker) can help the audience by ‘walking them round’ the slide at the start before making the main point. Walking the audience round the slide is like walking a guest round your house the first time they visit, so they feel at home. Click here to download a PDF document showing how to walk the audience round the slide.